By a 2-to-1 margin, residents in Ann Arbor, Ypsilanti and Ypsilanti Township say they’d likely approve a tax increase to fund expanded public transit services. That’s according to a new survey conducted by CJI Research on behalf of the Ann Arbor Area Transportation Authority. The survey found 63 percent of voters in the three communities either probably would or definitely would vote in favor of a new tax of less than 1 mill. About 31 percent said they probably would or definitely would vote no, while 6 percent were undecided. AAATA officials have talked about putting a 0.7-mill, five-year tax on the ballot in May to raise $4.4 million in additional annual revenue for expanded services. There could be a decision at the next regular meeting of the AAATA board at 6:30 p.m. Feb. 20 at the downtown library, 343 S. Fifth Ave. The board recently adopted a new five-year plan that calls for more than 90,000 hours of additional transit services per year, mostly along local fixed bus routes, representing a 44 percent increase in services. The tax to pay for those new services would cost the owner of a home with a market value of $100,000 (and a taxable value of $50,000) about $35 per year. The AAATA would use the additional funding for more direct service with redesigned bus routes, extended hours on weekdays and nights, extended weekend service on fixed routes (earlier start times and much later end times), improved bus stops, increased service frequency on many routes, and expanded dial-a-ride/paratransit services for seniors and people with disabilities. AAATA officials say the proposal comes in response to what they’ve been hearing from local government leaders and citizens. The plan includes stated goals of helping workers connect to jobs, spurring economic activity, supporting seniors and the disabled, easing parking congestion and promoting a cleaner environment. The AAATA commissioned CJI Research to conduct a random survey of 841 registered voters in the three communities between October and December. The results reflect a combination of telephone interview responses and email surveys with online responses to ensure representation of cell-only households. The survey showed the AAATA is highly regarded by voters in the three urban core communities. About 57 percent said they or someone in their family have used AAATA services, which compares with 25-30 percent rates in comparable communities. About 90 percent of respondents who were familiar with AAATA operations had a somewhat favorable or very favorable opinion of the agency. The survey found the most compelling reasons to support a transit expansion are to help retain and attract jobs, generate economic activity by taking customers and workers to businesses, and to improve service for seniors and the disabled. Among the reasons why some might oppose the expansion, according to the survey, are general opposition to new taxes and concerns about the economy. The margin of error for the survey is no more than 3.4 percent with a 95 percent confidence level. 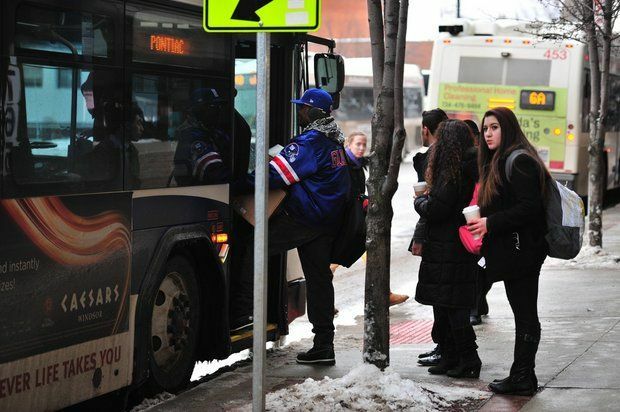 The AAATA estimates the economic impact from public transit in the Ann Arbor/Ypsilanti area would increase from $62.5 million annually to at least $96 million annually if voters approve the millage. The AAATA also estimates it would create at least 250 additional jobs, ease traffic congestion and free up as many as 1,000 parking spaces daily in downtown Ann Arbor alone. Two nonprofit advocacy organizations — Washtenaw Regional Organizing Coalition (WeROC) and Partners For Transit — have indicated they plan to launch grassroots campaigns in 2014 to promote the new millage. The coalitions’ members include business leaders, clergy, organized labor representatives, advocates for the elderly, local professionals, students and environmental activists. Previous PostWi-Fi is now available on Amtrak Midwest trainsNext PostJoin MARP today! !